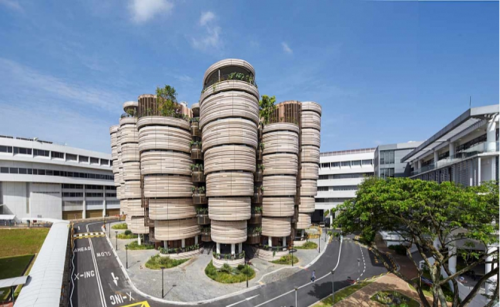 The National University of Singapore (NUS) and Nanyang Technology University (NTU) have performed strongly in an Asian education ranking for the second time in two days. In the London-based Times Higher Education Magazine rankings for Asia, NUS held on to its second spot while NTU entered the top 10 for the first time - moving up one notch from its 11th position last year. The list, released yesterday, was topped by the University of Tokyo, with the University of Hong Kong in third place. It came a day after NUS was named Asia's top university in the Quacquarelli Symonds rankings, which also saw NTU rise from seventh to fourth position. The Times Asia rankings use 13 performance indicators to examine each university's strengths, including teaching, research, knowledge transfer and international outlook. Mr Phil Baty, editor of Times Higher Education Rankings, said the results confirm Singapore remains one of Asia's top nations in academic performance. "Thanks to consistent government investment and academic collaboration, it stands as a case study of how to challenge elite Western institutions and beat them at their own game," he said. He noted that NUS was edging close to the University of Tokyo and may soon overtake it. "In 2014, there was a four-point gap in the overall scores between NUS in second and Tokyo in first place. This year, that gap has reduced to just 2.8 points. NUS is already ahead of Tokyo in its scores for international outlook and industry links, which are strong indicators of future success. "The world expects that Asia will be the next global higher education superpower, after Europe and North America. This new data from Times Higher Education demonstrates that many of the continent's leading universities are already competing on equal terms with the best in the West." NUS president Tan Chorh Chuan said the university has continued to emphasise innovations in education, growing its expertise and research impact in areas of critical importance and strengthening its strategic partnerships both in Singapore and internationally. He said: "In addition to these, we will be intensifying our focus on ensuring that our graduates are future-ready, on substantially raising the translational impact of NUS' research and in making the NUS enterprise ecosystem one of the most vibrant in Asia." NTU president Bertil Andersson said that although QS and Times Higher adopt different ranking methodologies, both indices have shown that his university is on an upward trend. "The global and Asian landscape will remain highly competitive, but NTU will continue to strive for excellence in teaching, research and innovation." University league tables have proliferated in recent years but university officials say parents and students are increasingly referring to them. In some countries, governments use them to make funding decisions.